WASHINGTON, D.C.–(NNPANewswirePR)–The National Newspaper Publishers Association (NNPA) will honor Senator Kamala Harris (D-Calif.) with the 2018 Newsmaker of the Year Award during the NNPA’s 2018 Black Press Week. 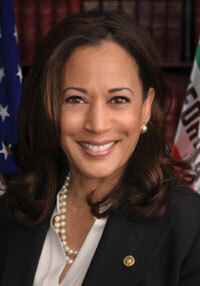 The Newsmaker event will take place at the Rayburn House Office Building on Wednesday, March 14 at 7 p.m.
“The Honorable Kamala Harris, the second African American woman and first South Asian American senator in U.S. history, is an outstanding choice for the NNPA’s 2018 Newsmaker of the Year Award,” said Dorothy Leavell, the chairman of the NNPA and publisher of the Crusader Newspapers in Chicago and Gary, Ind. The NNPA will also celebrate the senator’s efforts to raise wages for working people, reform the criminal justice system, and expand healthcare access for all Americans. The theme of this year’s Black Press Week is “Celebrating 191 Years of the Black Press of America: Publishing Truth to Empower.” Black publishers, media professionals, civil rights leaders and lawmakers from across the country attend the annual event, taking place March 14-16. On Friday, March 16, Democratic strategist and author Donna Brazile will deliver a keynote address on the state of the Black Press in America. Black Press Week will also feature sessions on business development, education reform, and sickle cell disease. Outstanding leaders in the Black community will be honored during the Torch Awards Dinner. The Torch Award recipients are: Dr. Amos Brown, the pastor of the San Francisco Third Baptist Church; Rep. Barbara Jean Lee (D-Calif.); and James Farmer, a senior consultant for General Motors. Ken Barrett, the global chief diversity officer for General Motors, said that “Jim” Farmer dedicated his career to transforming the automotive industry through diversity and community service. “I am proud of the invaluable support Jim continues to provide GM and he is truly most deserving of this prestigious honor,” said Barrett. “The NNPA Foundation, under the leadership of Chairman Amelia Ward, the publisher of the Sun Reporter in San Francisco, Calif., has chosen some of the most outstanding leaders and trailblazers in the Black community to receive Torch Awards, this year,” said Leavell. The 2018 Black Press Week partners include the Ford Motor Company, General Motors, Reynolds American (RAI), the Bill and Melinda Gates Foundation and Pfizer, Inc. The 2018 Black Press Week sponsors include AARP, Amerihealth, Comcast, Koch Industries, Wells Fargo, AT&T, and Volkswagen. Dr. Benjamin F. Chavis, Jr., the president and CEO of the NNPA, said that the NNPA and the NNPA Foundation have joined together to celebrate the 191-year anniversary of the Black Press in America.